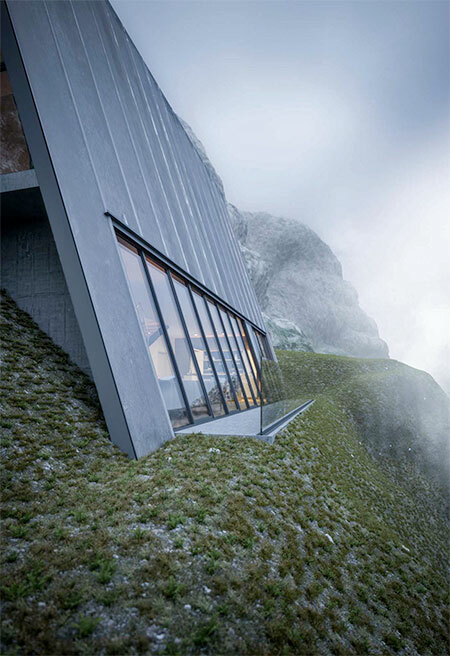 Modern house designed to be constructed on the side of a beautiful mountain. 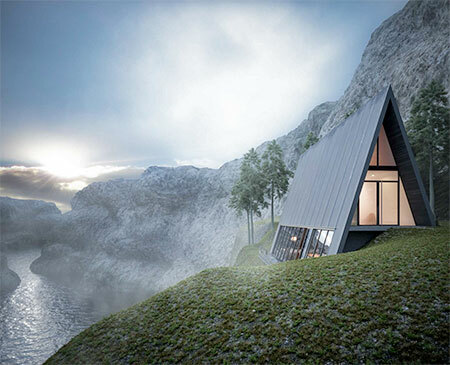 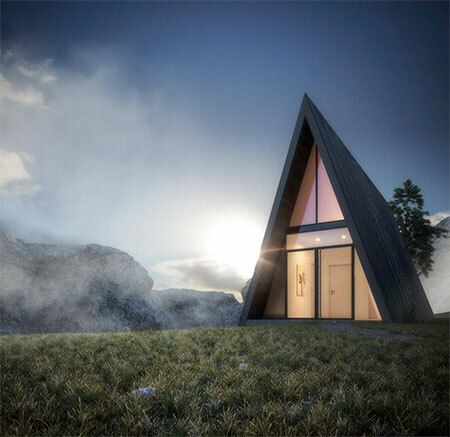 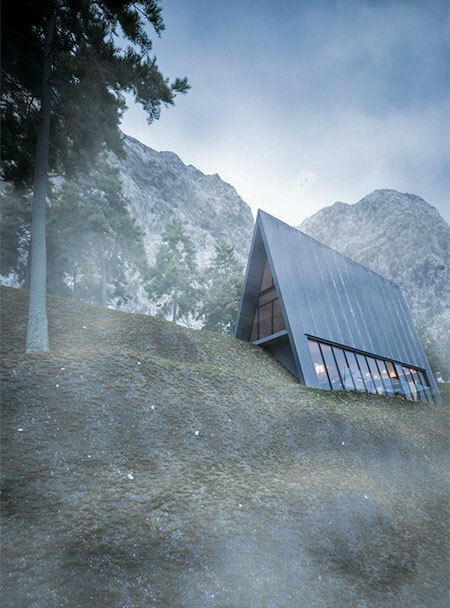 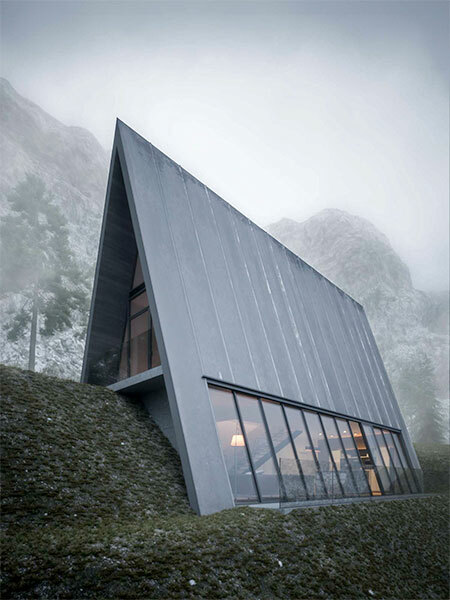 Triangle Cliff House concept by Matthias Arndt from Hamburg, Germany. 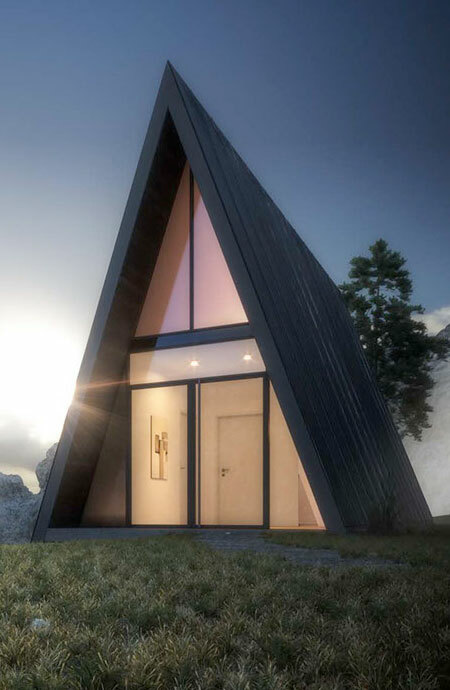 too bad you can’t see the inside… !